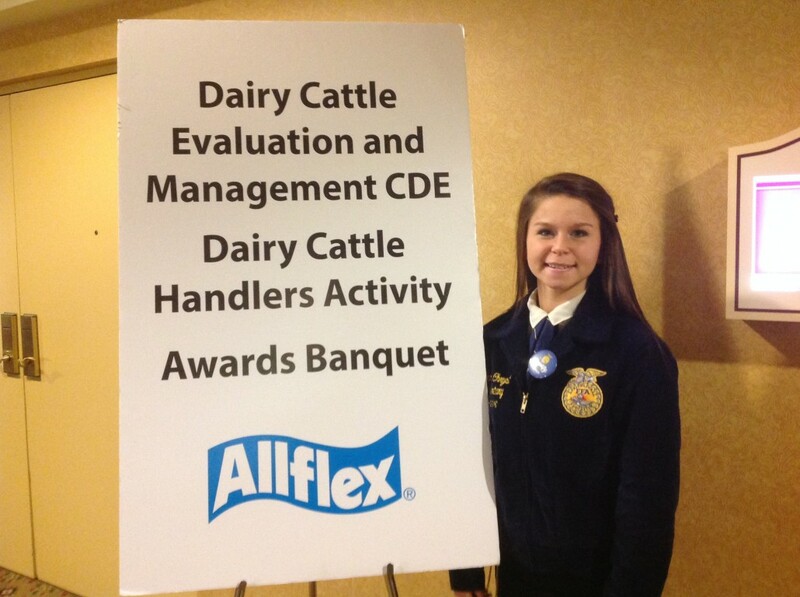 Coe-Brown Northwood Academy is pleased to announce that 2015 graduate Meghan Chryst represented NH in the National FFA Dairy Handler’s Career Development Event (CDE) at the National FFA Convention in Louisville, KY on October 29, 2015. 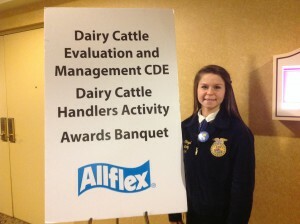 In the Dairy Handler Event, 29 students across the country represented their chapters and states showing dairy cattle. Meghan was selected to show Brown Swiss cattle and for her efforts received a silver recognition for her efforts. Meghan is currently attending NHTI for general studies and serving as the Granite State FFA secretary. Meghan lives in Strafford on her family’s alpaca farm. The National FFA Organization is national youth organization of 629,367 student members as a part of 7,757 local FFA Chapters in all 50 states, Puerto Rico and the Virgin Islands. The FFA mission is to make a positive difference in the lives of students by developing their potential for premier leadership, personal growth and career success through agricultural education.